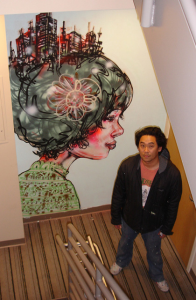 Back when Facebook wasn’t a household name, Sean Parker & Mark Zuckerberg sought out artist David Choe to pretty the ol’ office up with spraypaint. The thing is, David, that most people would be thrilled by 200 million dollars. For you, it’s causing you pain.